Hedy Lamarr, whose acting career spanned Hollywood’s golden age of the forties and fifties, was widely regarded as one of the most beautiful women to grace the silver screen. However she was much, much more than just a pretty face. 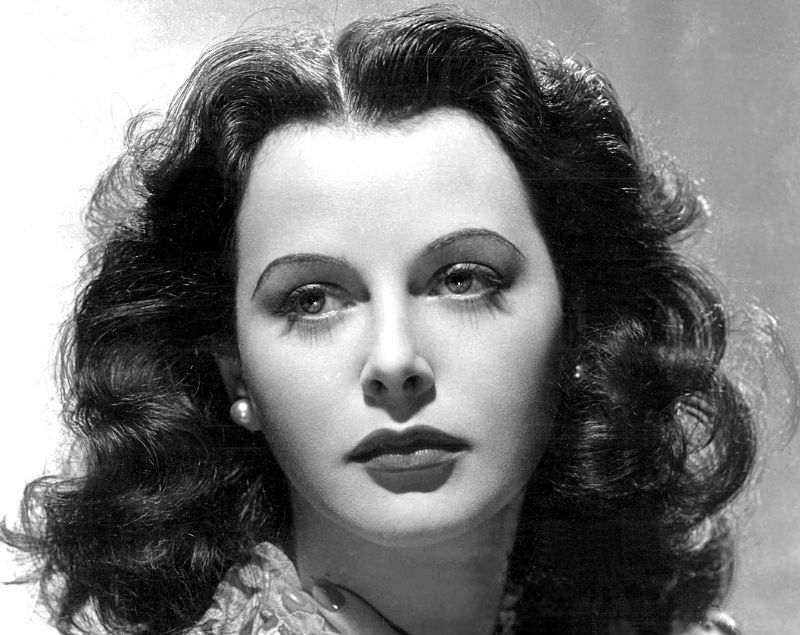 As an inventor, Hedy Lamarr was responsible for developing the technology that underpins today’s wireless networks. 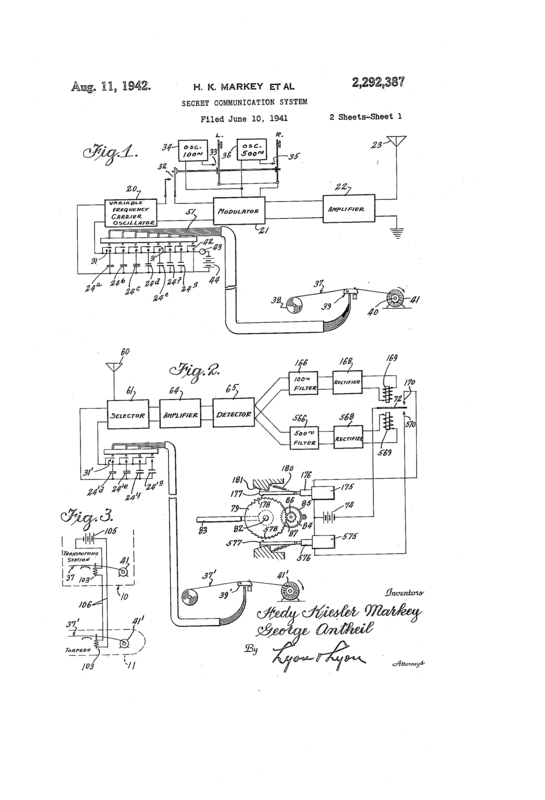 Born Hedwig Kiesler in Vienna on November 9 1914, young Hedy was encouraged to be curious about how things worked by her father Emil, who shared his passion for technology with his only child. Lamarr began her cinematic career in Europe while still in her teens. Aged 19, she married Friedrich Mandl, a munitions manufacturer several years her senior who, according to Lamarr’s autobiography, was possessive and controlling, and kept her confined to their home. She was also required to accompany him to meetings where her husband and his clients discussed the finer points of military technology. Lamarr eventually divorced Mandl and moved first to Paris, then to London, and on to Hollywood, where her acting career blossomed under a new screen name. However she retained an interest in applied science, and during her career she devoted much of her spare time to her hobby of inventing. Her greatest achievement came in the early days of World War II, when Lamarr, along with the experimental composer George Antheil, devised a method to prevent the interception of radio-controlled torpedos. Lamarr’s former husband had worked with the Germans and other fascist governments and, thanks to the many meetings she had attended with him, Lamarr had some familiarity with a range of German military technologies, including torpedo control systems. Part of Patent US2292387 for Lamarr and Antheil’s frequency hopping spread spectrum technology. Based on Antheil’s work with automated piano music, the pair devised a frequency hopping spread spectrum technology which allowed a torpedo to be controlled by moving through a sequence of 88 different frequencies, based on the 88 keys on a piano. This allowed a ship to control its torpedos but would prevent the Germans from intercepting or jamming the signal. The entire system could be contained on a pair of piano rolls, designed to follow the same sequence of frequencies. 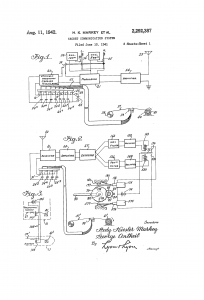 Lamarr and Antheil filed their patent, titled Secret Communication System, in June 1941. The patent was granted the following year but was turned down by the US Navy, who thought the technology too cumbersome. The Navy ultimately adopted the technology in the 1960s, but by then the patent had expired and Lamarr and Antheil received no royalties for their invention. Variations of the spread spectrum technology later formed the basis for the development of GPS. Within a few decades spread spectrum was being used to develop wireless and mobile phone networks, which used frequency hopping to allow phones to communicate with masts without interfering with each other. Variations of spread spectrum were also used to develop WiFi and Bluetooth. George Antheil died in 1959, and nearly six decades would pass between the pair’s patent filing and the eventual recognition of Hedy Lamarr as an inventor of wireless communication. Lamarr, then 83 years old, was awarded the Communications Pioneer Freedom Foundation Award in 1998. She died two years later. Lamarr and Antheil were inducted into the Inventors’ Hall of Fame earlier this year.